In this article, you'll find different examples of Weglot button display and you'll get tricks to improve yours. 1. Feel free to inspire! 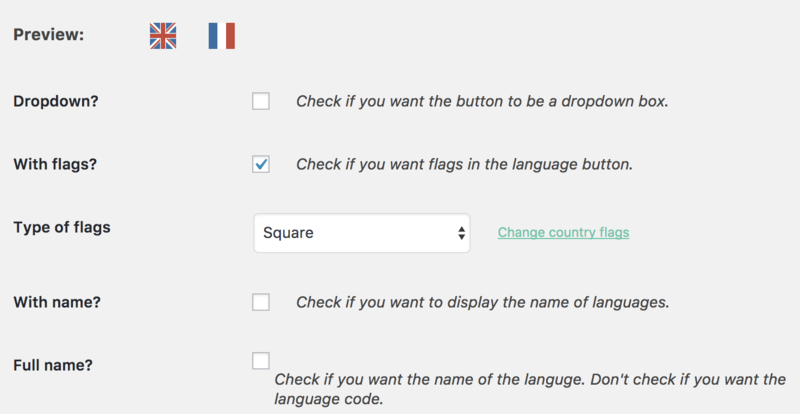 Visit your WP/Shopify Dashboard > Language Button Appearance and select what suits your website. WP: How can I change the Weglot button position? Shopify: How can I change the Weglot button position? Go to your WP/Shopify Dashboard > Override CSS and enter the rules that suit your button.